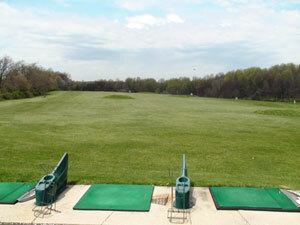 Hereford Golf Center was opened in March 1995 by John Invernizzi, PGA. The Invernizzi name is synonymous with golf in the Baltimore area. John's father, the late Frank Invernizzi, PGA, owned and operated several golf practice facilities throughout Baltimore for 47 years. During their youth, John and his brother Frank, JR (also a PGA Golf Professional), worked alongside their father, learning the golf business from one of the most respected PGA professionals in the Mid-Atlantic region. John inherited his father's love of golf, and his passionate commitment to help other's enjoy this wonderful game. John's mission was to create a family friendly practice facility, where everyone could hone their golf skills. The culmination of John's mission was The Hereford Golf Center. Won't you join us? I think you'll agree. Mission Accomplished.